The spirit of Giving Back is a core value of our culture here at Suite Solutions. 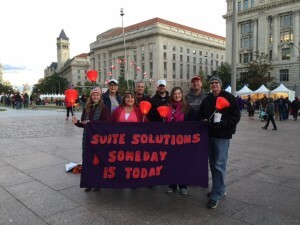 Our team participates in The Light the Night Walk in Washington, DC every year raising money to help support the cause for The Leukemia and Lymphoma Society. The Fueled for the Fallen and Hope for the Warriors stay in our apartments each year in the DC area to support their organizations as well. We offer testing sites for the ERC Exams and support the Paralyzed Veterans of America. We are always looking for ways to contribute. If you are interested in partnering with Suite Solutions, please contact sharon@mysuitesolutions.com. My name is Zachary Lanman. I am a cadet at Virginia Tech and attended the 2015 Annual Conference with the American Veterans Center. I would first like to explain that this was truly an amazing experience that has genuinely altered my view on how I see my future service. It was surreal to be there in the presence of the heroes I read about in history books or would pretend to be when I played as a child. Furthermore, listening to the veterans and Purple Heart Recipients Thursday night who talked to us about the adversity they faced and how they were able to conquer it, really put the weight of membership in our armed forces into perspective. While the conference was incredible, what truly made it possible was the fact that we were able to stay so close to the venue, which we knew would be expensive. With that, the unbelievable generosity that was shown to us was beyond any expectations we had when we were informed living accommodations had been made and paid for us. Many of the cadets who attended, including myself, are on tight budgets already and would not have been able to attend had we been responsible for paying for our own lodging. As I said, not only were we located close to the center, I’m certain myself and my classmates have never stayed in such accommodations before last weekend. It was not necessary for you to provide us rooms let alone such amazing ones. Please believe me when I say with complete sincerity that attendance to this year’s conference was made possible by you and the time you put in finding the apartments. The quality surpassed anything we could have imagined. Again, thank you for all of your help and everything we were able to experience as a result of your hospitality. We place Olde Glory coffee in every apartment at check-in. The Olde Glory Coffee Company donates $0.50 (50 cents) for every pound of coffee sold to Wounded Warriors Organizations. 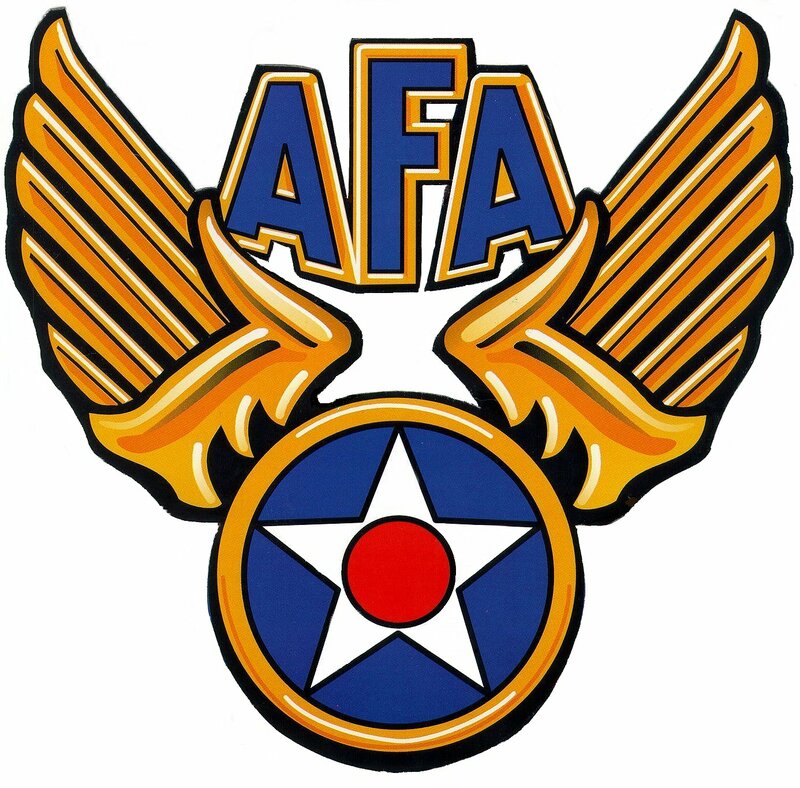 We have designated our donations to go to the Air Force Association, specifically benefiting The AFA Airmen & Family Programs. We hope you enjoy our complimentary coffee for a cause!